Coral reefs are noisy places, with sounds emanating from water movement, ocean creatures, and other sources. A previous study by Lauren Freeman identified a component of the underwater soundscape that correlated with the abundance of macroalgae (those that form leaf-like structures and filaments) present over the reef, but the mechanism responsible for the sound was unknown. To determine whether the algae themselves were responsible, the authors studied sound emissions from a tank of the Hawaiian invasive algae Salicornia gracilaria. They found that release of gas bubbles–a combination of oxygen released from photosynthesis and nitrogen–produced a "ringing" from the oscillations of the bubbles as they assumed a spherical shape in the water. The sound ranged from 2 to 20 kiloHertz, matching that from oceanic coral reefs. Simon Freeman notes: "We discovered that algae make sound by first listening to coral reefs, and finding a link between what we heard and how much algae had smothered the coral. 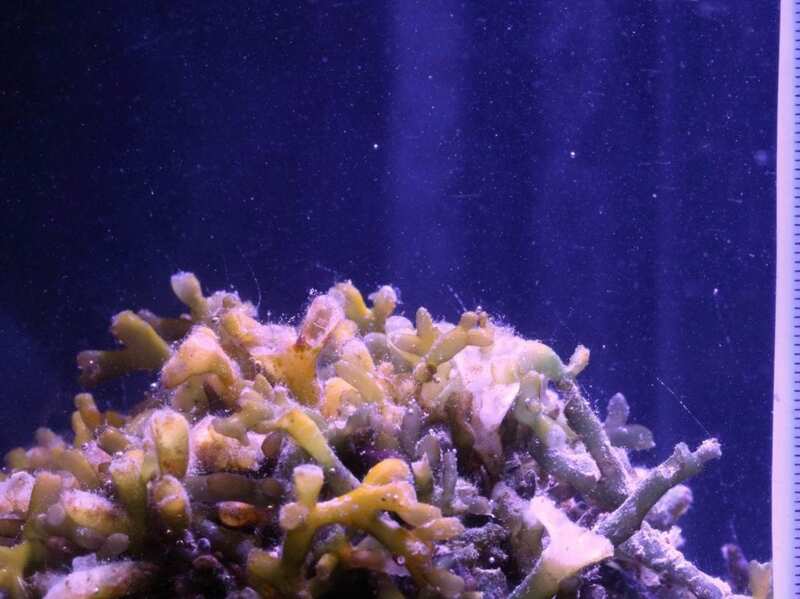 Intrigued, we performed experiments with algae in tanks to verify the source, and how the sounds made by algae contributed to coral reef soundscapes." Funding: Work was supported by NSF IGERT grant no. 0903551, U.S. Naval Research Laboratory section 219 program funds, National Research Council and American Society for Engineering Education postdoctoral fellowships and NASA grant no. NASA-14HYSP14-0003.